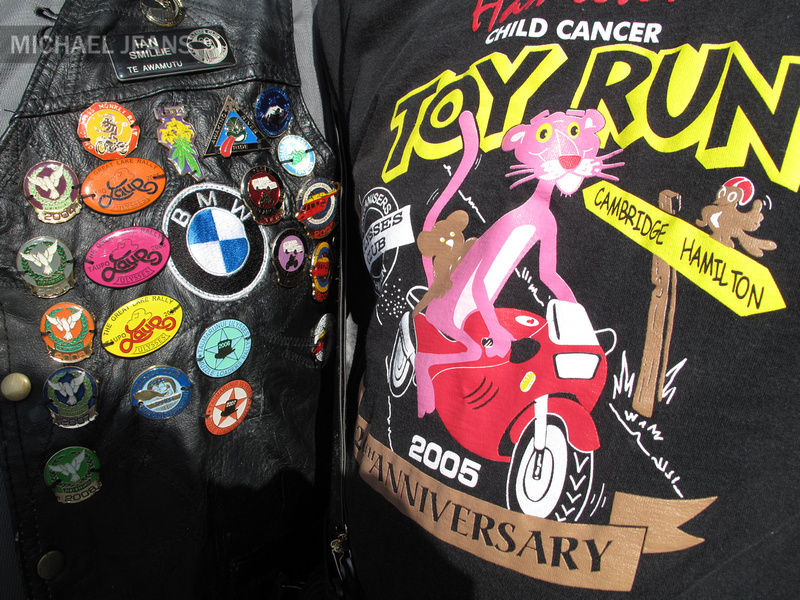 The annual Ulysses Club Motorcycle Toy Run from Cambridge to Hamilton to raise money for child cancer left Alpha Street Cambridge at 11am this morning for Garden Place in Hamilton a distance of roughly 25 kilometres. Official photos taken at the start of the run will be available during the next couple of days at hotshotstogo.co.nz. 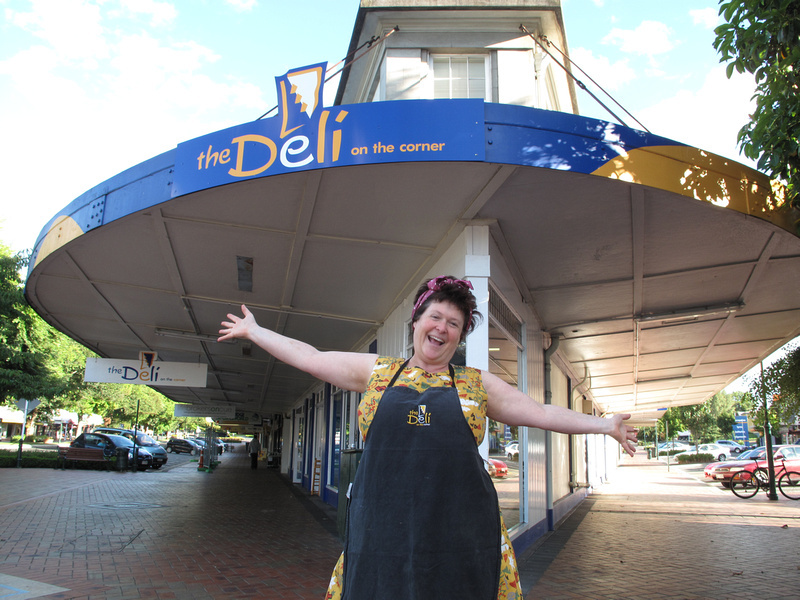 Tomorrow, Sunday the 28th of February 2010, is Carolyn’s last day as owner of The Deli on the corner after seven and a half years. She will be greatly missed. BTW normal service continues on Monday morning under new ownership. 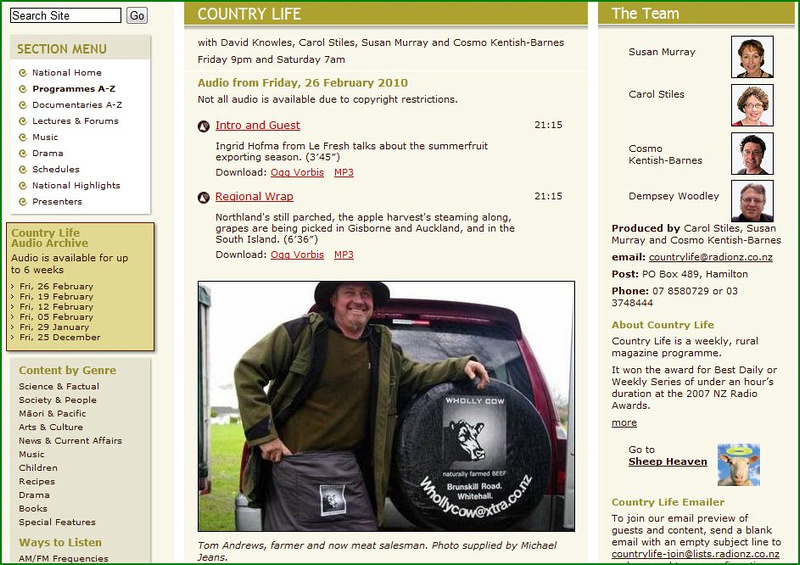 Early this afternoon Carol Stiles from RNZ National Country Life rings asking for use of the Tom Andrews Wholly Cow portrait. 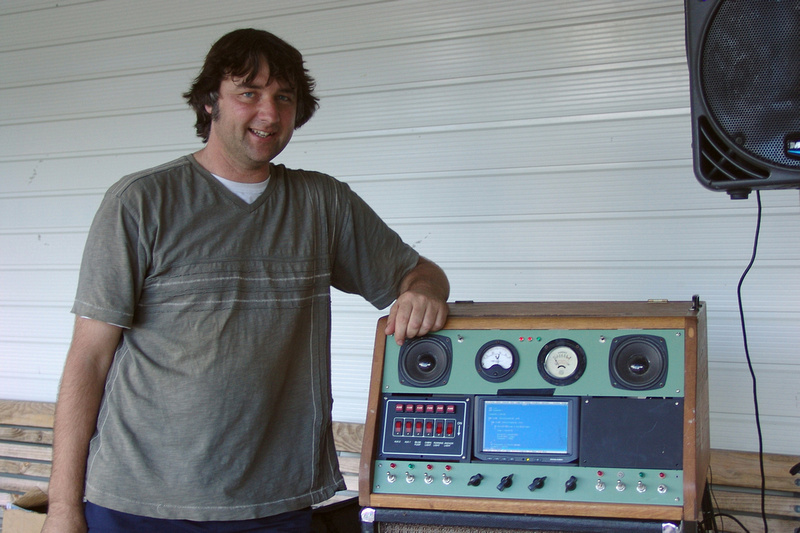 If you missed the item you can listen here during the coming week. I guess this is my little bit of support for RadioNZ – join the Facebook group. photo ref. At Tikorangi The Jury Garden – published this morning at abbiejury.co.nz and the Taranaki Daily News. Photo: Mark or Abbie Jury. The brief was to photograph the Cambridge window displays for the 2010 New Zealand Rowing Championships at Lake Karapiro last week. I expanded the project just a tad. 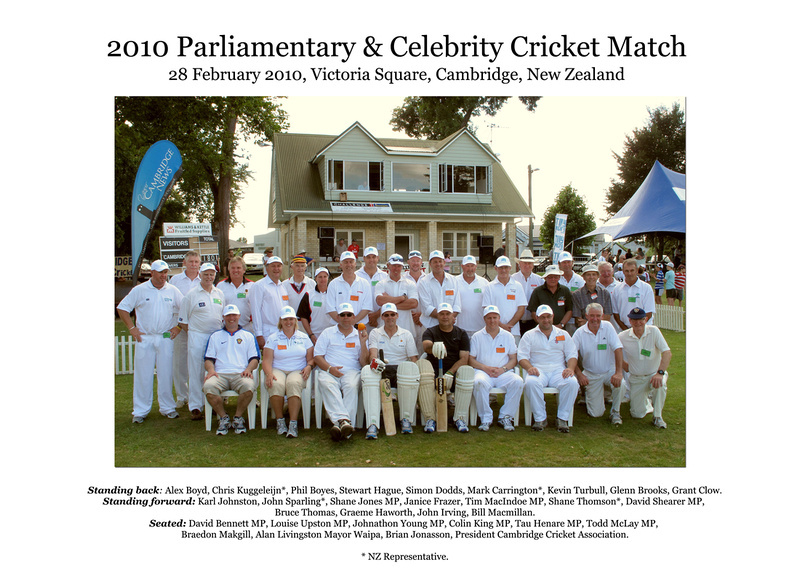 The recording of this ‘event’ was a joint venture between Michael Jeans and Cambridge Chamber of Commerce. To purchase prints and image files or establish links to your website please contact me. 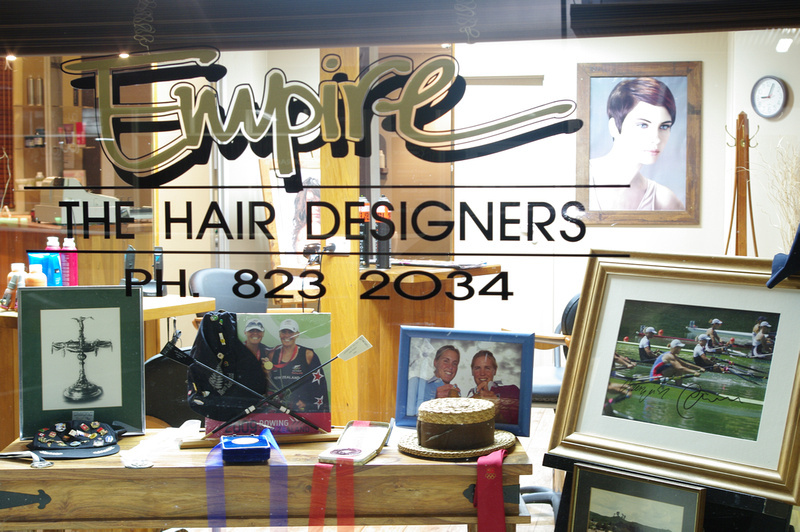 The winning window is Empire The Hair Designers featuring adopted club Counties Manukau Rowing Club. To visit the gallery featuring all the displays simply click on the photo above.